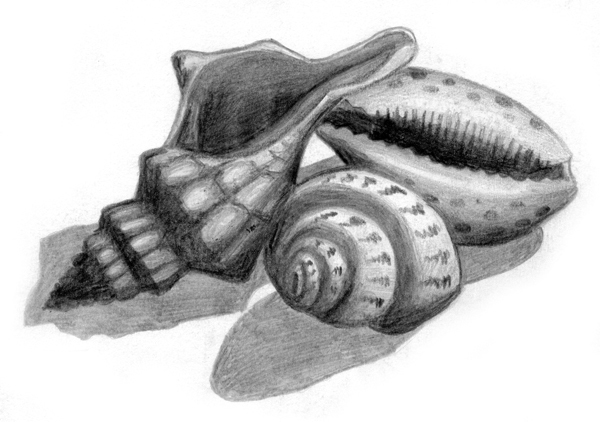 A privately owned seashell collection. 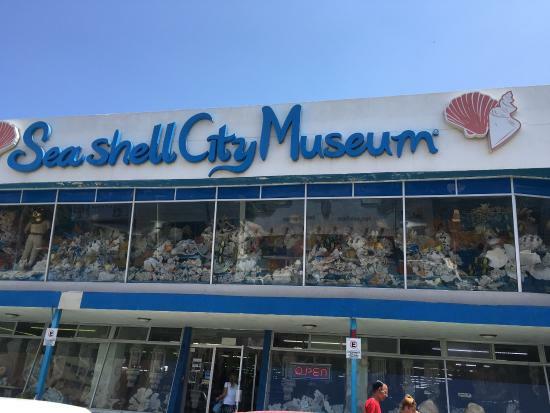 This small museum is free admission. 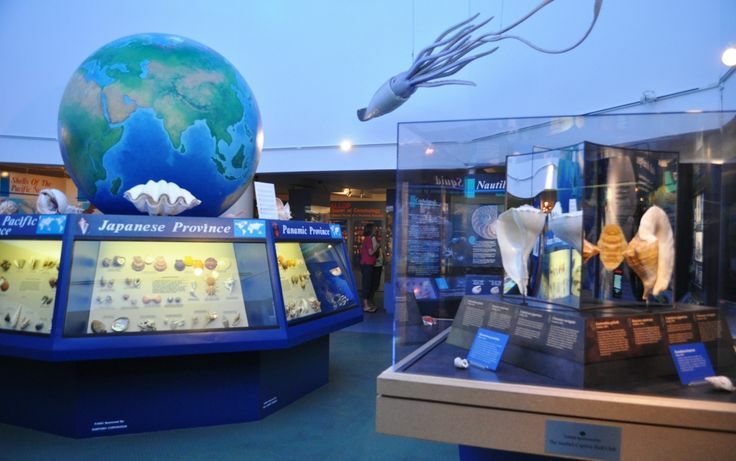 It is open to the public on Fridays only from the first of October thru mid-June. If you would like to visit on another day or during the summer, appointments are readily available! Scroll down for a Map. And, click below to make an appointment. than to be born a millionaire." Years ago we discovered a funky Shell Factory in Fort Myers Florida. Ok. So, their collection is valued at 6 million dollars. Wow! 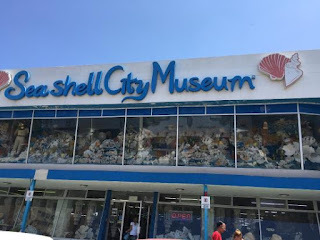 which is described as (by Frommer's Travel Guide) having not only a huge selection of shells, but also "more shell-covered decorative items than you ever dreamed could exist, from the tacky to the sublime." on Sanibel Island in Florida and I fell in love with it, too. This is labeled as a National Museum and it is simply fantastic with rooms and rooms of displays, information and sea shell collections from around the world. 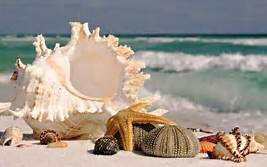 This summer Russ and I are building a SeaShell Museum! It will be on the same property as my Off the Beach Workshop and Studio. This will - by no stretch of the imagination - even come close to the size of the places that I have mentioned. 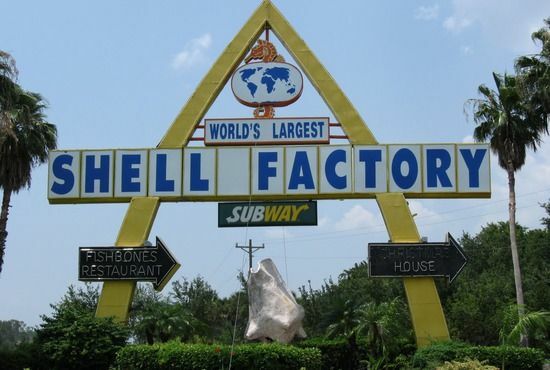 But, it will be free to the public and should be a fun little tourist attraction. The building itself is being constructed of mostly recycled materials - as much as possible. We have a two room plan, which will be well-lit and will open onto a private garden. 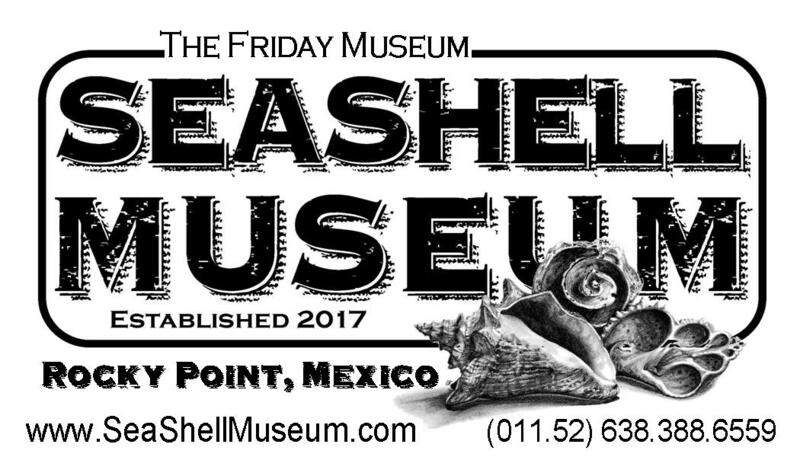 Do you have a Contribution for the SeaShell Museum? 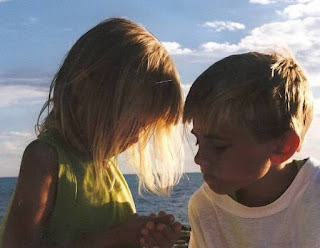 here along the Sea of Cortez. . .
. . . and are you willing to share it? * There has occasionally been some confusion using Google maps or other apps. 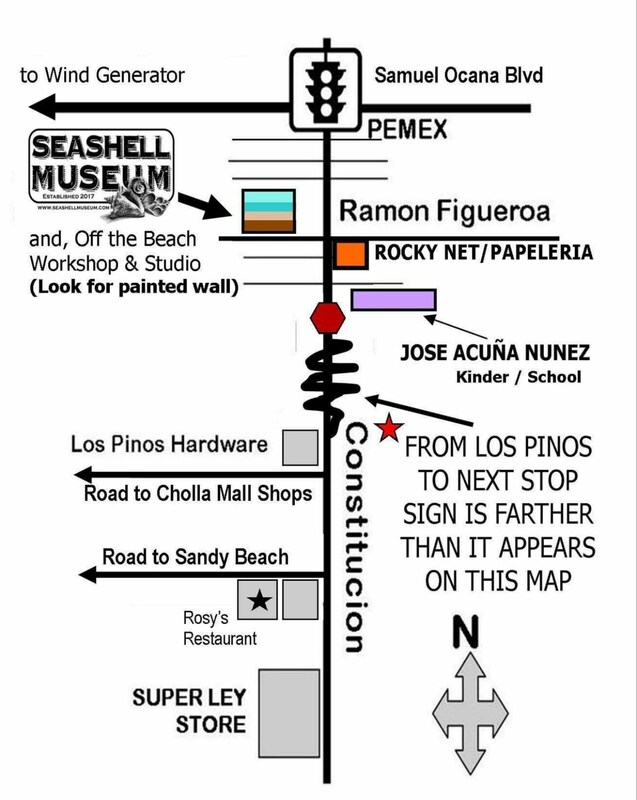 Here is a map specific to get you to the Museum!